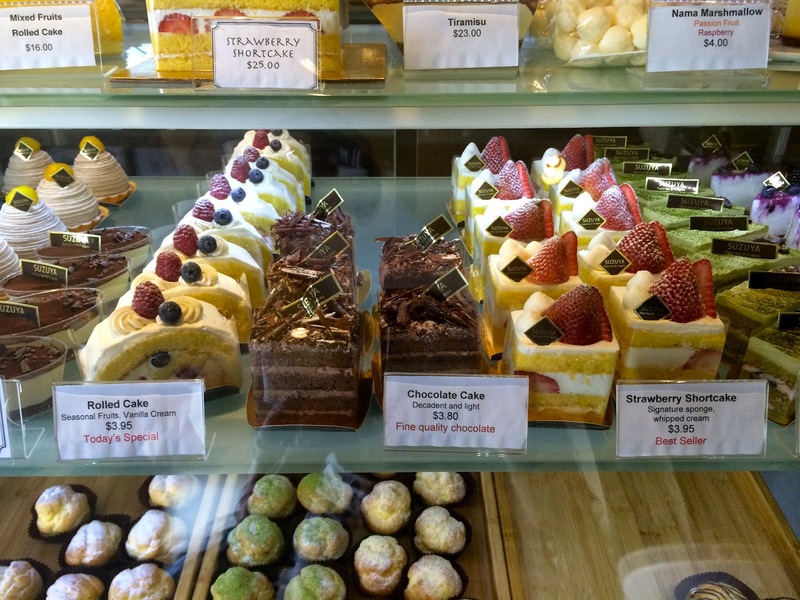 As the name implies, this is a very small bakery that makes Japanese style pastries and crepes. It is coincidently located right down the street from our apartment. The pastry chef recommended many different green tea items because they were the typical favorites; however, I do not like green tea so I passed on those desserts. 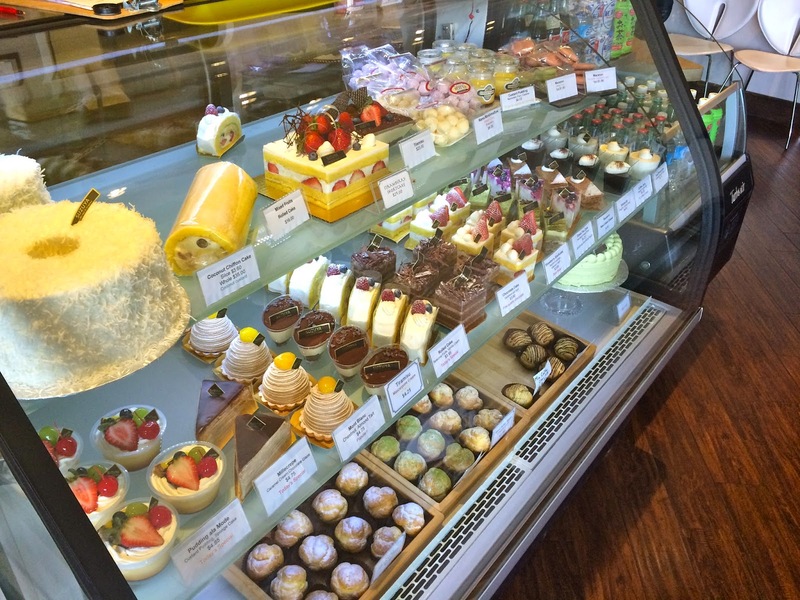 They had a beautiful pastry display of full cakes and small pastries with a limited menu of crepe options. 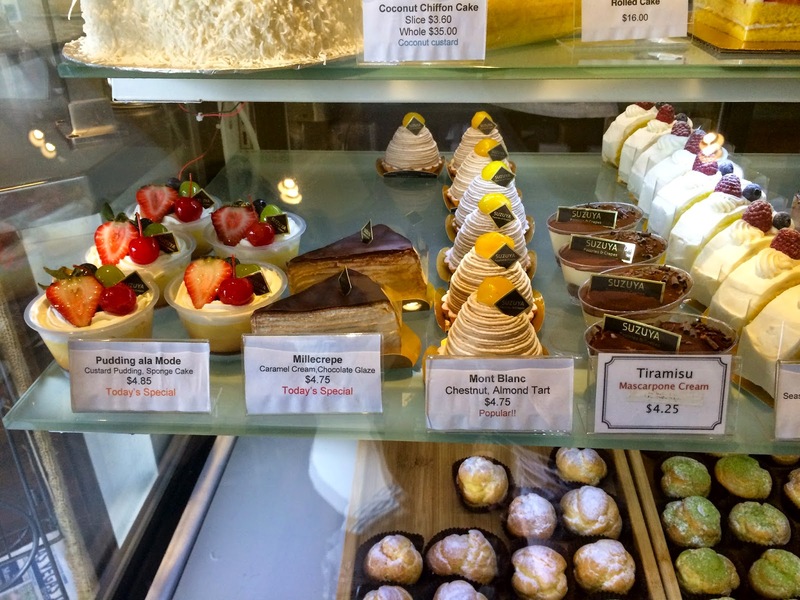 These delightful, ready-to-go pastries range from Japanese flavors, such as yuzu, to the classic American strawberry shortcake, and even to the famous Italian tiramisu. 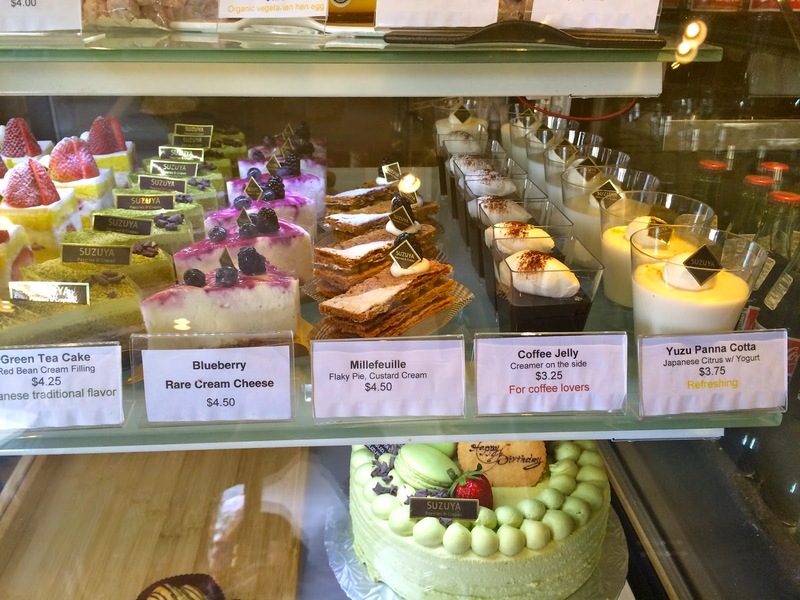 The pastry chef was quiet but sweet, alongside her staff who was overall very friendly. Both Adam and I love crepes so, of course, we each got one. 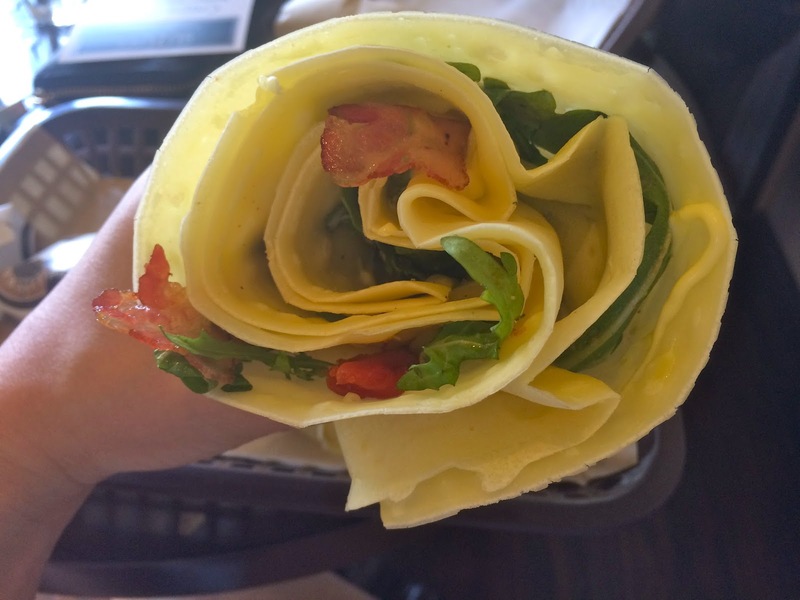 Adam had the B.A.T., a savory crepe with bourbon bacon, arugula, sundried tomatoes, aioli and balsamic vinaigrette. I, not surprisingly, had the sweet Chocolate Cannoli crepe, made of chocolate curls, crunchy pistachios and sweet ricotta filling. Adam loved his crepe so much that every time we pass the bakery his mouth waters for another one! 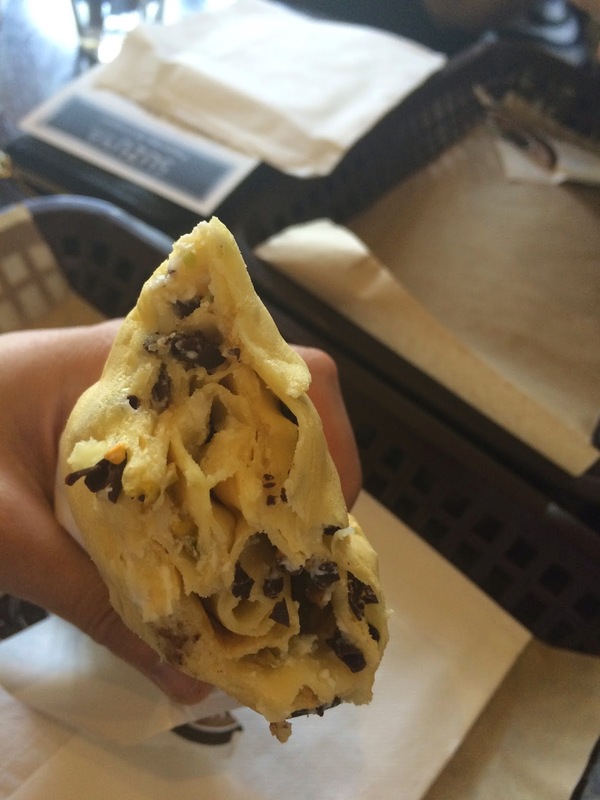 My cannoli crepe was fantastic as well – it was tasty and had the perfect amount of sweetness from the ricotta and chocolate. All crepes were prepared behind a counter with glass separating the baker and guests, so we were able to watch the bakers create our crepes right in front of us – I always enjoy guest interactions. 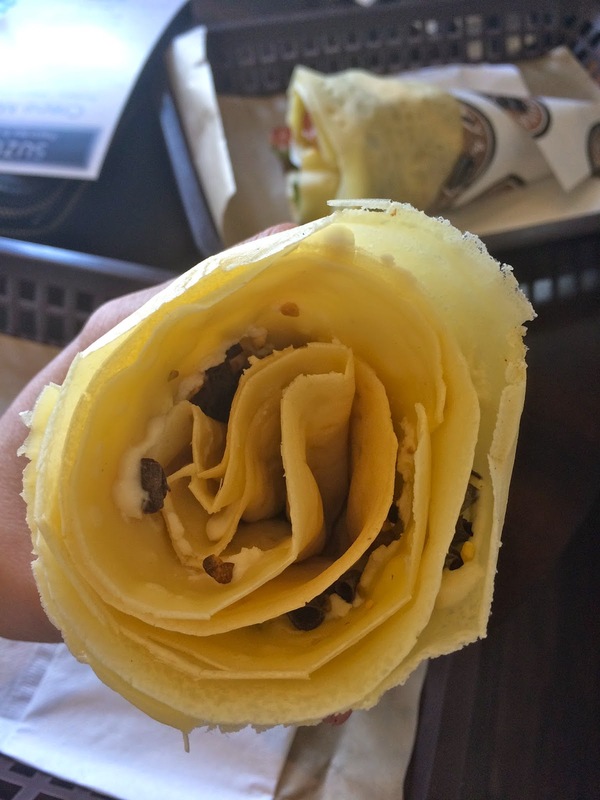 The crepes were rolled in the form of an ice cream cone which allowed several layers of flavor for each bite. The cake was very light and spongy. 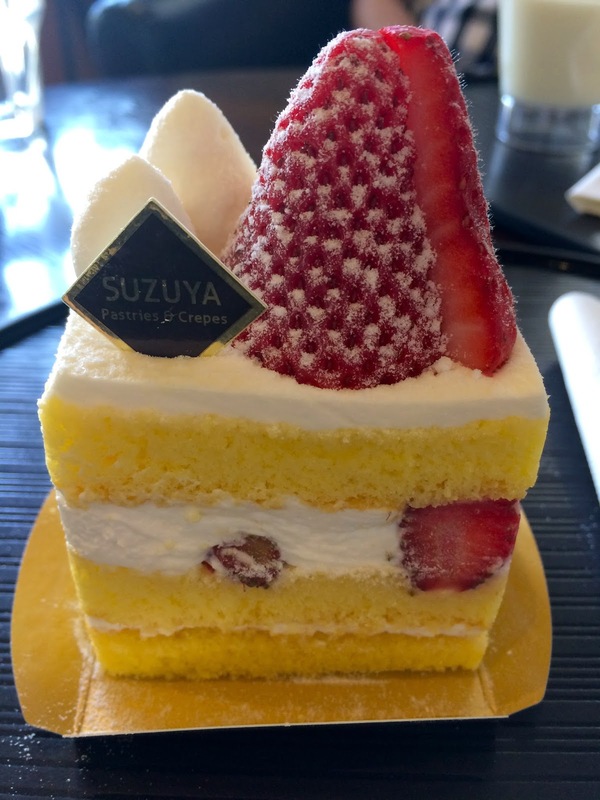 Suzaya uses Harry’s Berries strawberries which are extra sweet and juicy. I understand the appeal of the big strawberries and how it makes the shortcake more appealing, but the strawberries were a little too big. They could have been diced more to allow us to cut through the cake easier, but with that said, we’re not complaining that much. The whipped cream is very sweet alone, but settles once coupled with a bite of the layered cake. The strawberry shortcake gives a great lasting impression because the sweetness lingers in an outstanding way. I love yuzu and panna cotta so I knew without a doubt that I had to get this. It was a dense panna cotta, yet the texture wasn’t necessarily smooth and silky – in fact, it almost dried my mouth out. Despite the dryness, the flavor profile was definitely present. 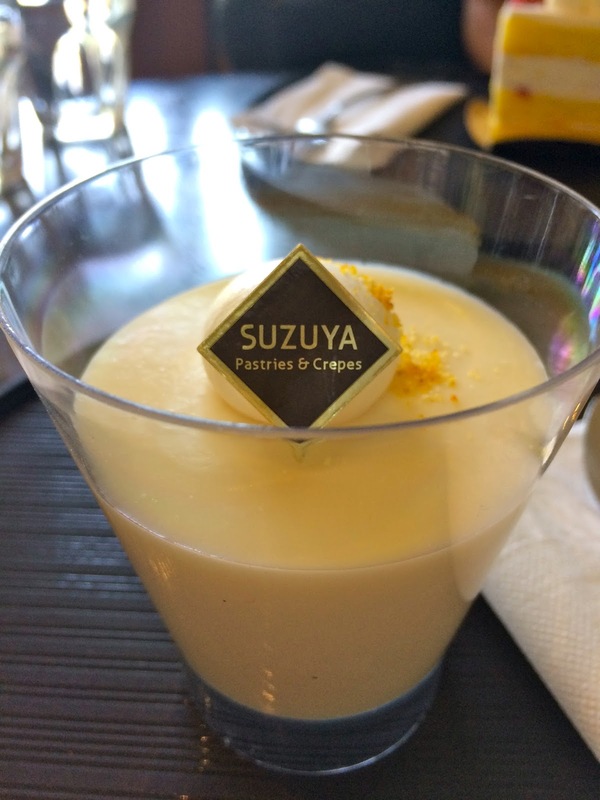 The yuzu had a very light tartness that was accompanied by a little dollop of whipped cream (hidden behind the name plaque) which balanced the acidity. Very good. 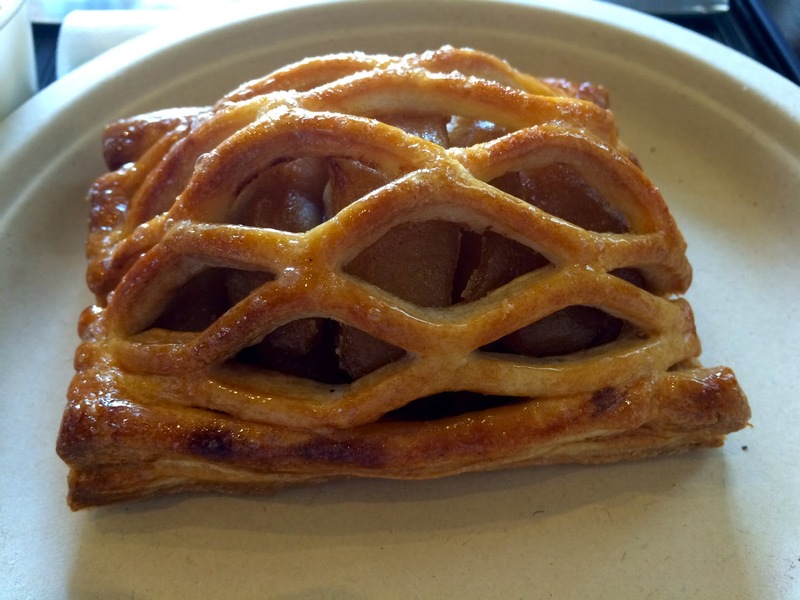 Beautiful apple tart. Topped with a golden brown crust that was both flaky and crunchy. With every bite I took I could taste the flavor of all the tarts cooked in the oven before this very one, which left a distinct lingering on my palate. The apples were sweet and tender with a pinch of cinnamon and the perfect amount of bite to them. Wow! This place looks absolutely amazing. Too bad I didn’t know about it when visiting Vegas. Next time I must try out those delicious looking crepes! 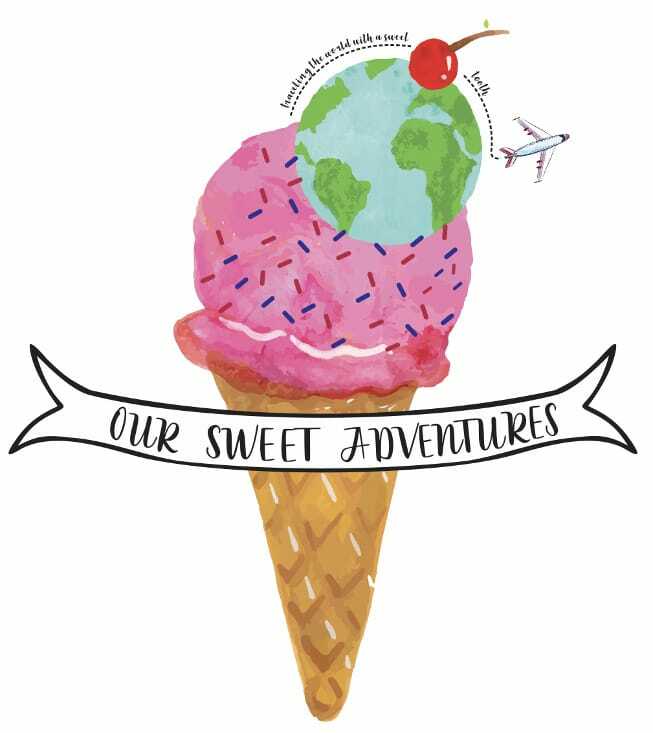 It was one of our favorite places when we lived there! If you ever go back you should also visit Skinny Fats, it is near Suzuya.